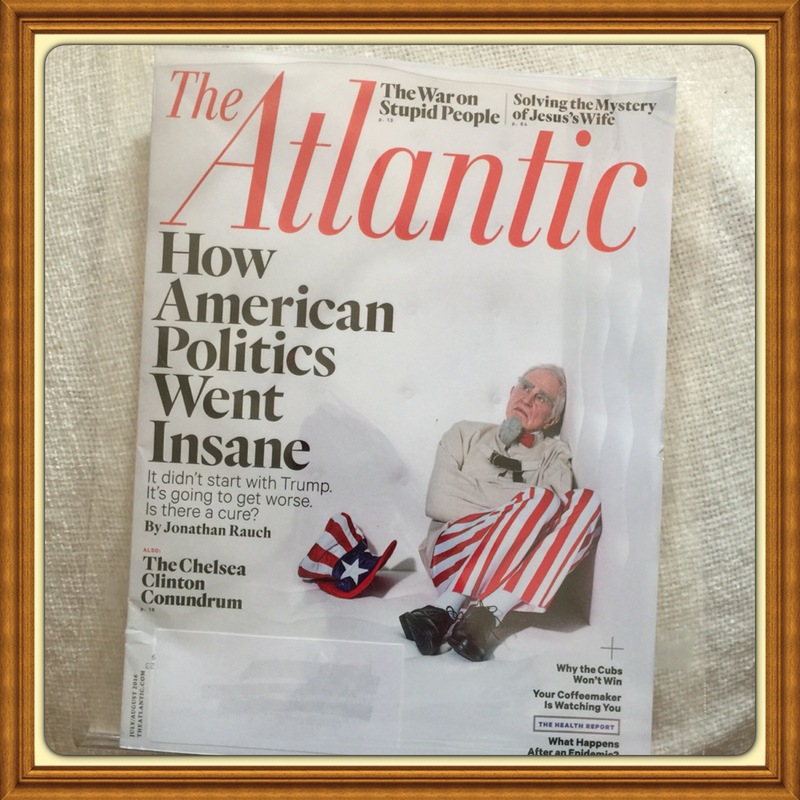 How Our American Politics Went Insane. It didn’t start with Trump. It’s going to get worse. Is there a cure? By Jonathan Rauch. The war on stupid people. Why the Cubs won’t win. Your coffee maker is watching you. The health report: what happens after an epidemic? Brand new issue, unread, unused copy. Item is a brand new subscription issue magazine in original mint condition with subscriber-printed label. Subscriber’s name is carefully covered with new blank label for privacy.